A little over one year after announcing their formation, punk supergroup Dead Cross have announced that iconic vocalist Mike Patton has joined the group. 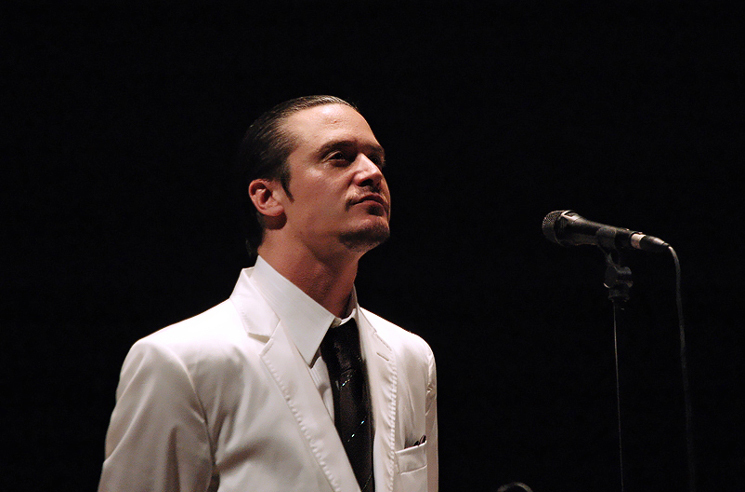 Patton, recognized best for his vocal work with Faith No More, is replacing original vocalist Gabe Serbian (Rats Eyes, the Locust). No reason has been given for Serbian's departure. Dead Cross also features ex-Slayer drummer Dave Lombardo (Suicidal Tendencies, Misfits), Justin Pearson (the Locust, Retox, Head Wound City) and Michael Crain (Retox, Festival of Dead Deer). Patton and Lombardo are no strangers to the supergroup dynamic, having previously played alongside Buzz Osborne of the Melvins in late '90s outfit Fantômas. A press release reveals that the group are currently at work on their debut album, set for release in 2017 through Ipecac Recordings.